The level of drugs spilling out from Southeast Asia’s Golden Triangle has surged in recent years, according to the UN’s Office on Drugs and Crime (UNODC). 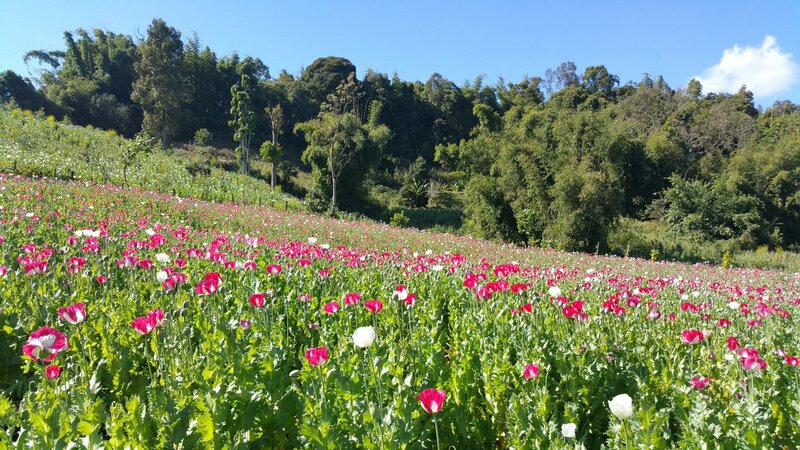 The area, which is made up of a largely lawless northern chunk of Myanmar, Thailand, and Laos has long been a hotbed for drug production–all the way back to the Vietnam War days when it was supplying the vast majority of the world’s heroin supply. But now, one of the world’s most notorious illicit drug-producing hubs has shifted its focus to creating synthetic drugs like methamphetamine and ketamine. “[The drug boom from the region] is like nothing we have ever seen before, and it has required a matching surge in precursor chemicals,” said Jeremy Douglas, a UN representative. The precursor chemicals he mentioned and that are required to make methamphetamine, ketamine, and synthetic opioids are flowing in from neighboring countries in the region like China, India, Vietnam, and Pakistan. The UNODC also said that it fears that the region will begin mass producing synthetic opioids like fentanyl, which has devastating the US. In 2016 alone, synthetic opioids caused 63,000 drug overdoses–a record high.